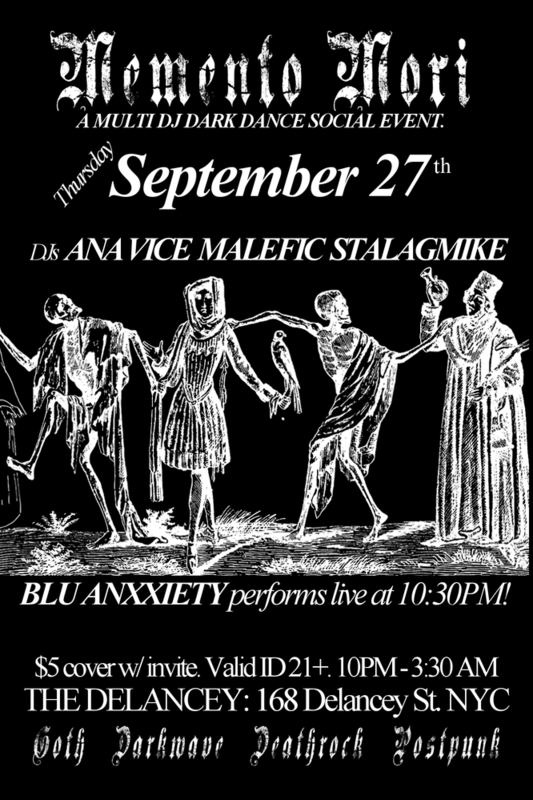 MEMENTO MORI presents BLU ANXXIETY live at 10:30 PM! Dance party before and after! Nette our fabulous door person! $5 cover with the invite (digital copy or Facebook R.S.V.P. on phone is ok) or $7 without the invite. MEMENTO MORI starts at 9:30 PM. 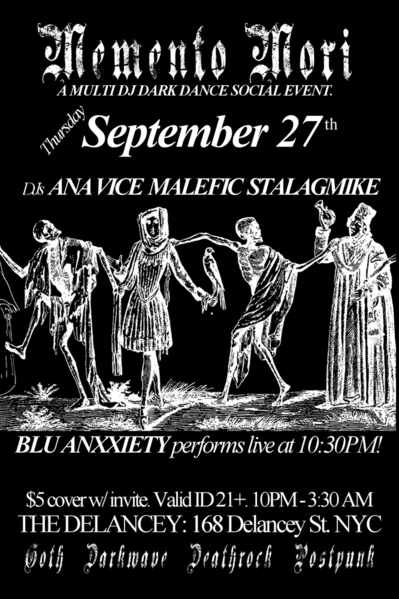 21+ and please bring valid ID. 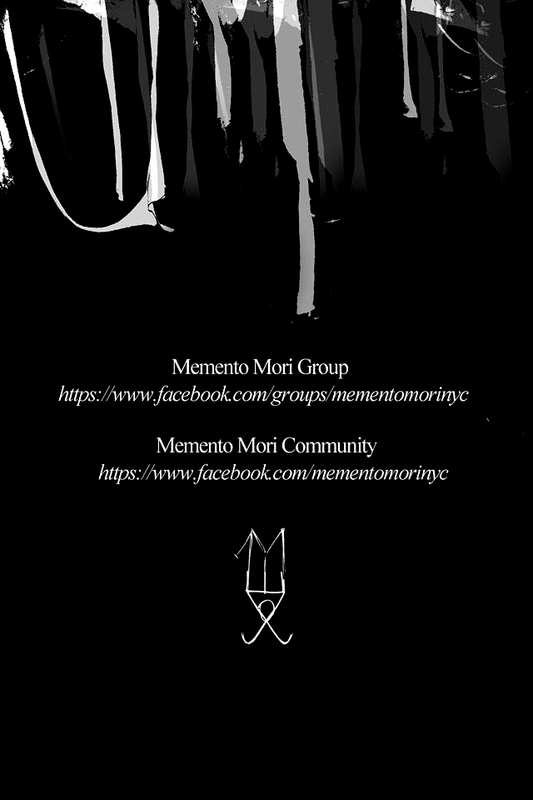 As always, we encourage folks attending our parties to follow the suggested dress code basics: Gothic, Alternative, Victorian, Dark Glam, Deathrock, Edwardian Dandy, Witchy, Sinister DIY fashions, or basic black attire is appropriate. Invite design but not image by Ana Vice 2018.